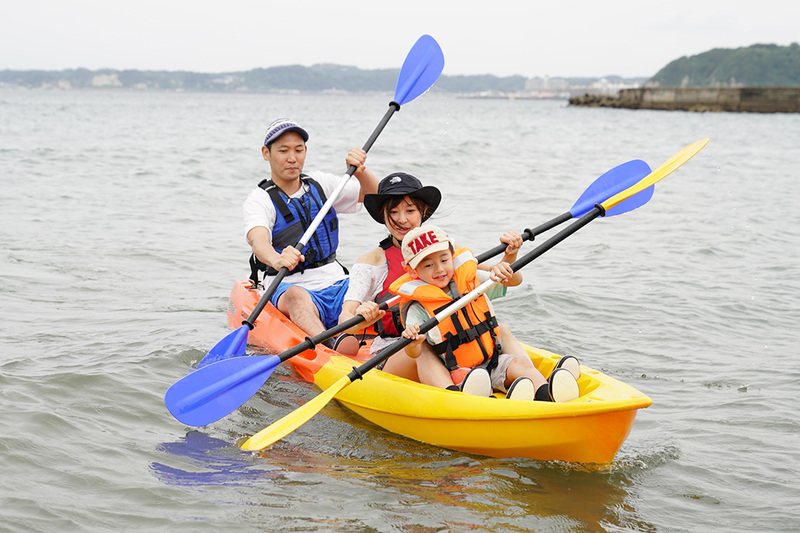 In this two-part series we are following a young Japanese family as they enjoy a weekend of glamping (glamorous camping) in Hayama, a sea city just outside Tokyo. 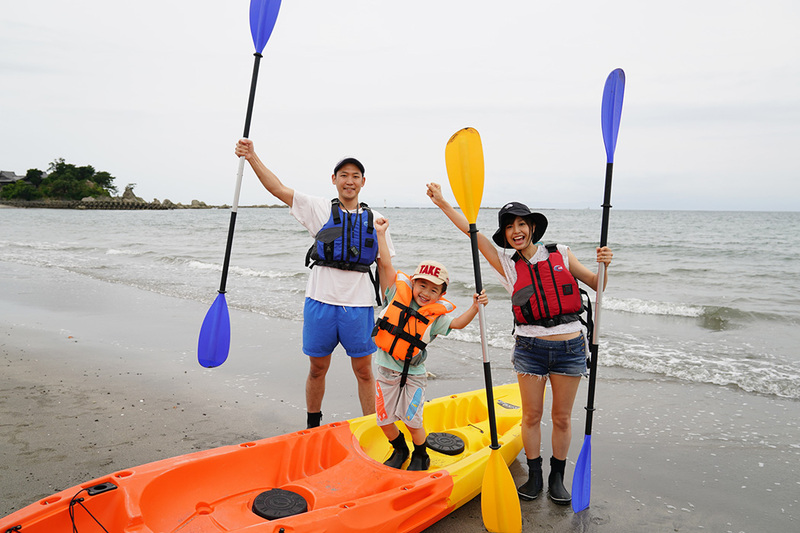 After a luxury stay and delicious barbecue at The House on The Beach, this time they're ready for a sea kayak adventure! 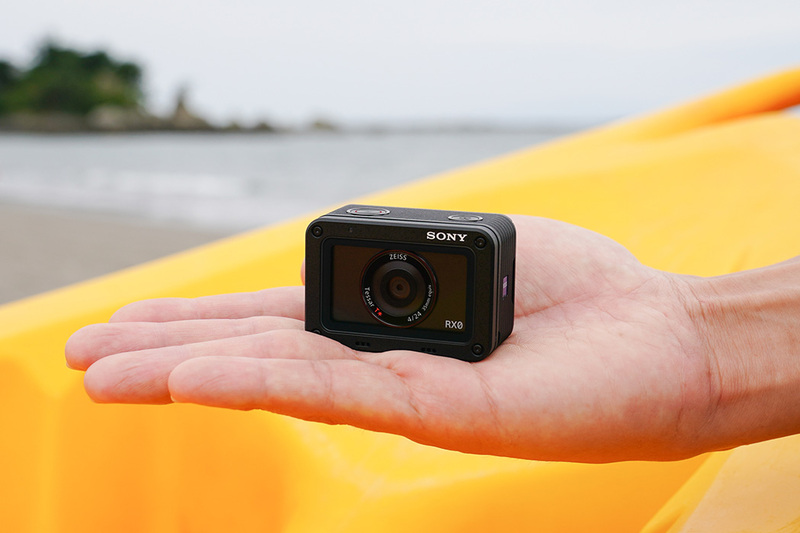 And to make sure they capture all the best moments of this trip we gave them Sony's DSC-RX0, an ultra-compact, shockproof and waterproof digital camera. 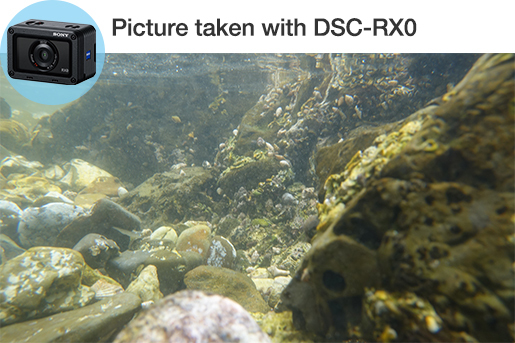 DSC-RX0 is so small that it can fit in the palm of your hand, however its ultra-compact size doesn't compromise its performance. 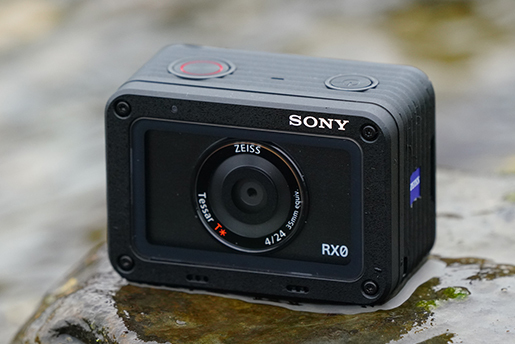 Equipped with a wide-angle 24mm ZEISS lens, the DSC-RX0 is the perfect combo of quality and portability. 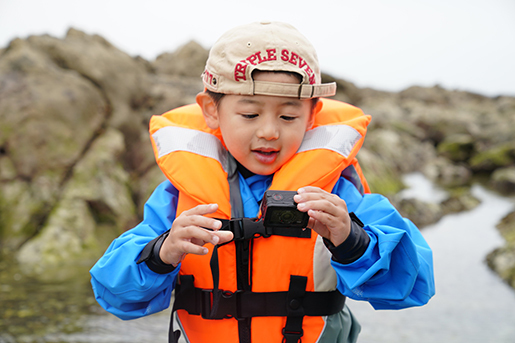 It's also waterproof down to 33 ft (10 m) (*1, *2) and shockproof when dropped from heights up to 6.5 ft (2.0 m) (*1, *3), making it a great choice for an outdoor family trip like this. Depending on usage conditions and circumstances, no guarantee is made regarding damage to, malfunction of, or waterproof performance of this camera. Meets the JIS/IEC standards (according to Sony test conditions). It is possible to shoot for up to 60 minutes at a depth of 10m underwater. Passed MIL-STD810G C1 Method 516.7-Shock test onto 5cm plywood (according to Sony test conditions). The adventure starts in the morning. From their lodging they headed over to the neighboring Morito Beach where the Hayama Sea Kayak Club was awaiting. They offer sea kayak courses and experiences where you get to learn kayak, explore an island, enjoy snorkeling and more. Mom, dad, and Take are full of energy and can't wait to get started! Taking a group picture before the adventure. The wide angle lens is very handy for this type of shot. It's easy to get the whole family in the picture even without looking at the screen. After some warm-up exercises everyone was ready to start paddling. The sea was calm and the kayak glided on the surface smoothly. Having found a nice spot by the rocks surrounding Morito Beach, mom decided to snap a picture. 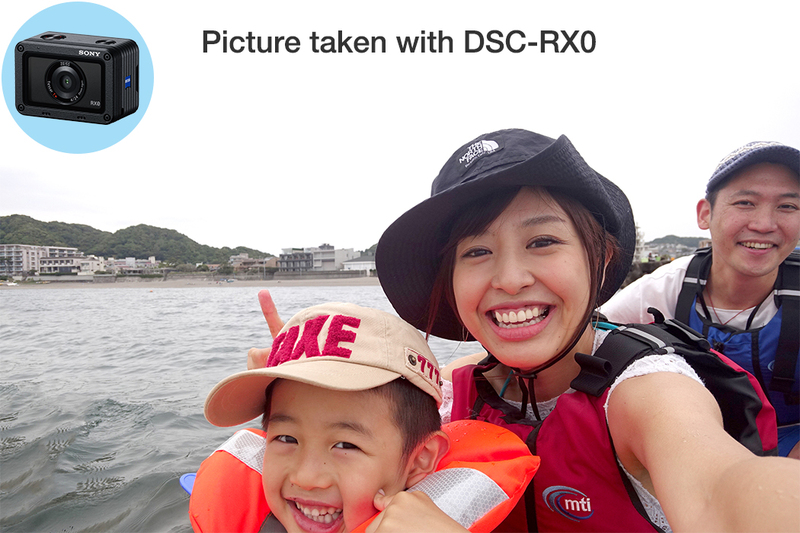 The DSC-RX0 fit easily in her life vest's pocket and was ready to take out and use. Again, the wide angle allowed to easily take pictures even in such a tight space. 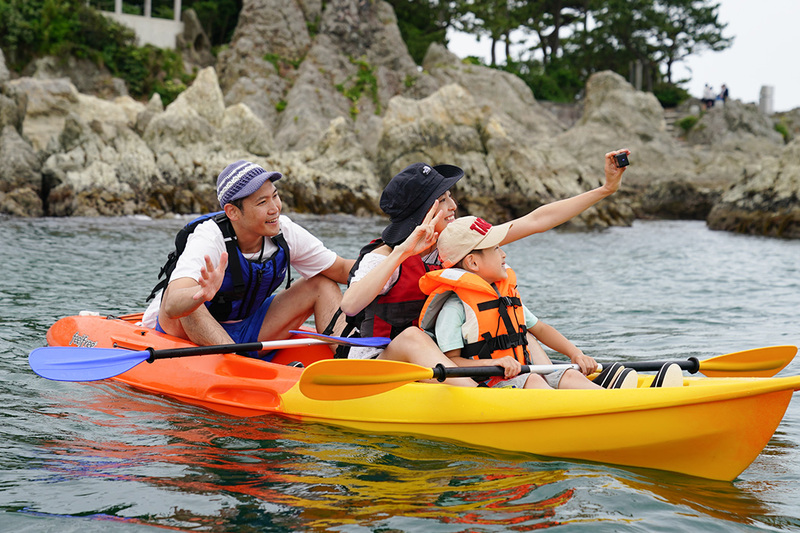 A unique feature of this kayak tour is that the itinerary takes you to a little uninhabited island called Najima. Take immediately went looking for sea life with his mom, while dad took the chance to capture a candid moment of his family. In addition to pictures the DSC-RX0 also shoots high quality video. The camera's interface is very intuitive and allows to instantly take it out and use it, without missing the perfect moment. 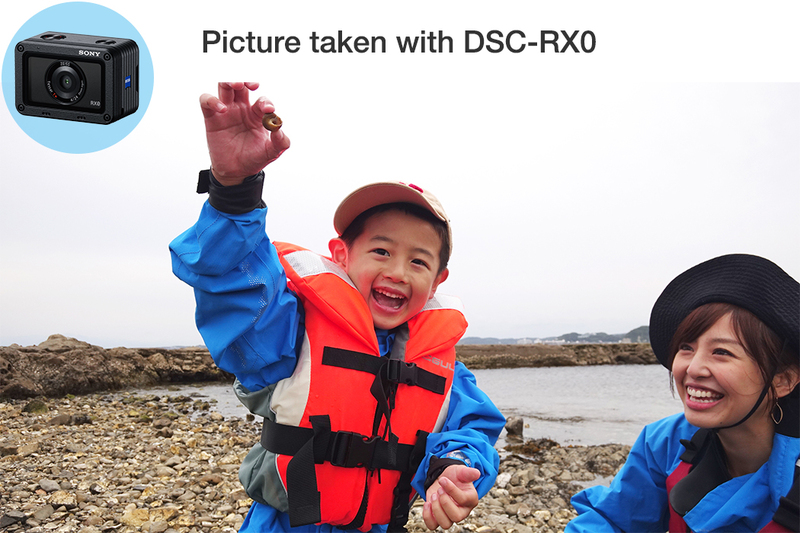 The DSC-RX0 can be dropped from up to 6.5 ft (2.0 m), (*1, *3) making it a great camera to give kids. 5-year old Take had no problem understanding how to take pictures, and the camera's size made it really easy to hold in his little hands. 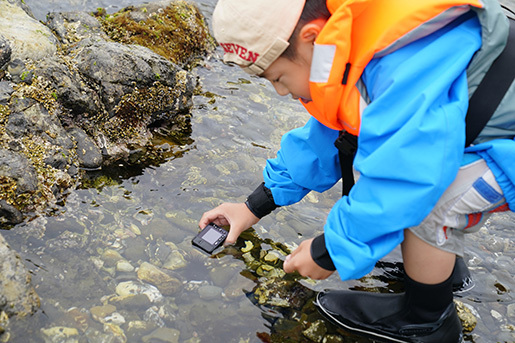 The camera can be completely immersed in water (*1, *2), so it aided Take on his hunt for shells and fish. 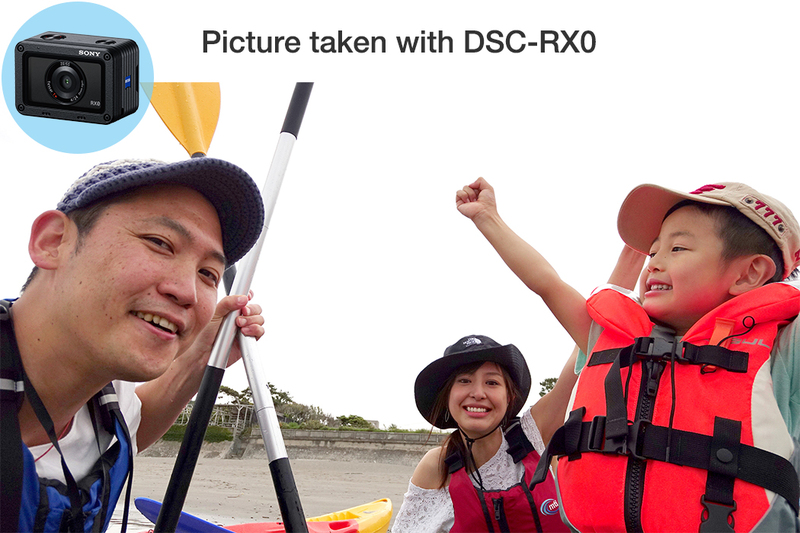 With its high specs, compact size and robustness the DSC-RX0 is a precious companion for outdoor activities and trips. Easy to store and quick to use, it will ensure that you don't miss a shot anywhere you go.